I had recently noticed a fellow illustrator using blue colored inks for soap bubbles, and decided that I would would give that a try. As it happens, I have a bottle of blue ink that I’ve had for about 6-7 years, and I finally got to use it in this illustration. 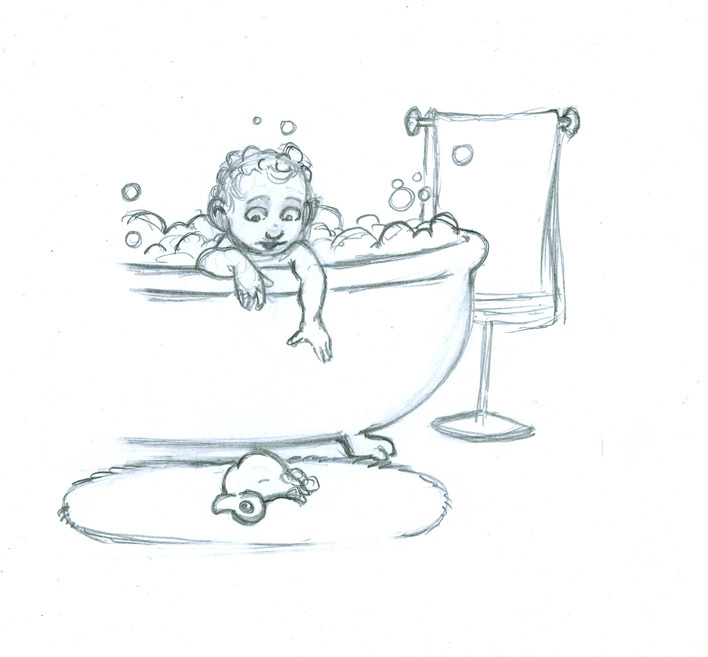 I feel like the blue helps the bubbles feel lighter than rest of the objects that are outlined in black. I also used a little bit of dry brush technique on the towel to help give it a little bit of texture. I’m really pleased with the overall result. 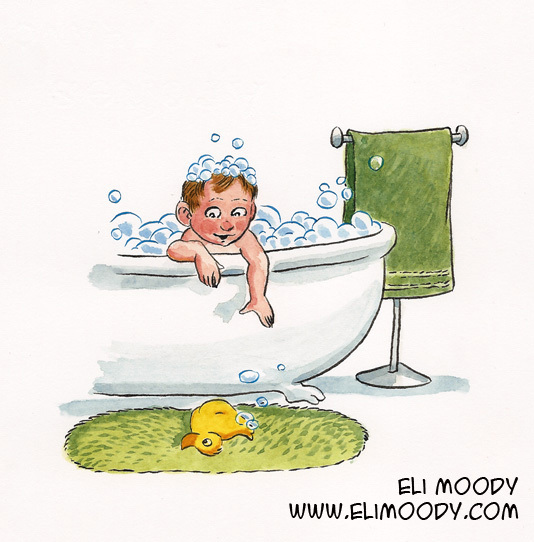 This entry was posted in illustration and tagged bath, bathtub, boy, bubbles, eli moody, humans, illustration, pen and ink, pencils, rubber duck, watercolor. Bookmark the permalink.